Sometimes you need a quick side dish to go with your BBQ'd chicken, or fried fish, or for a potluck, or for just about anything. 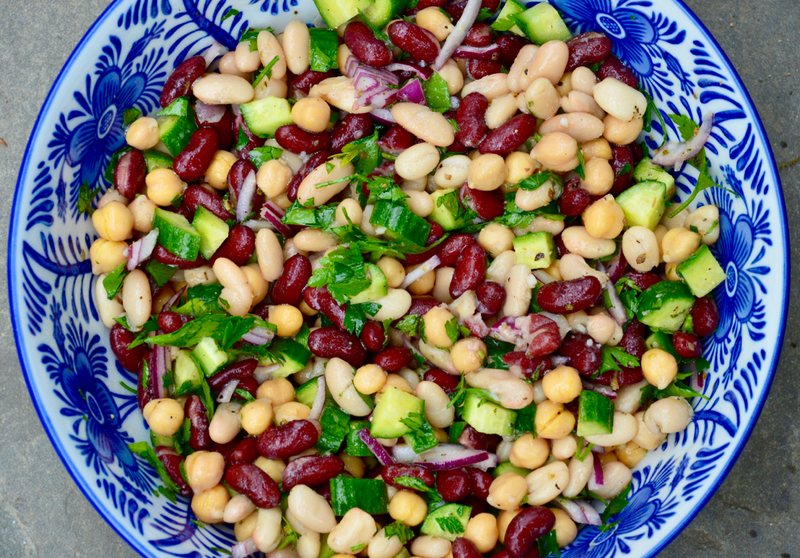 This quick and simple 3 bean salad is so easy, using only a few ingredients, without a complicated dressing recipe, and the flavors are fresh and yummy. 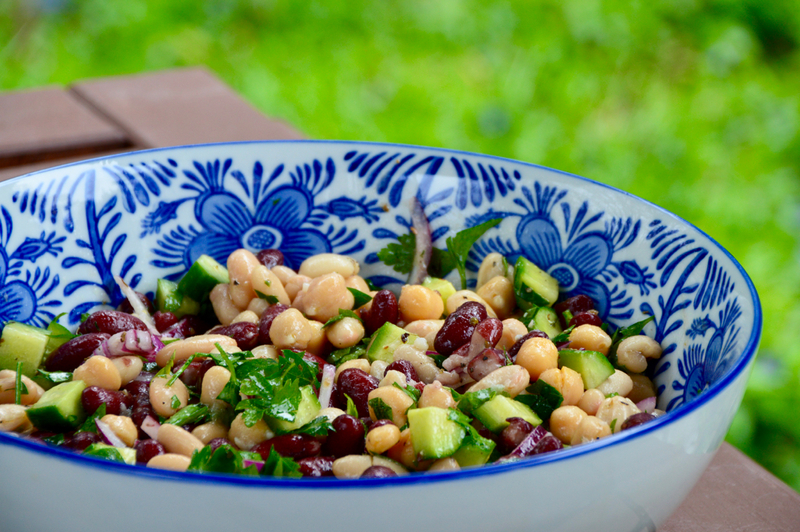 We all know how good beans are for your body, and this salad is full of them! For today, I'm serving this with a simply seasoned filet of fish that was lightly pan seared, finished with a drizzle of lemon juice. 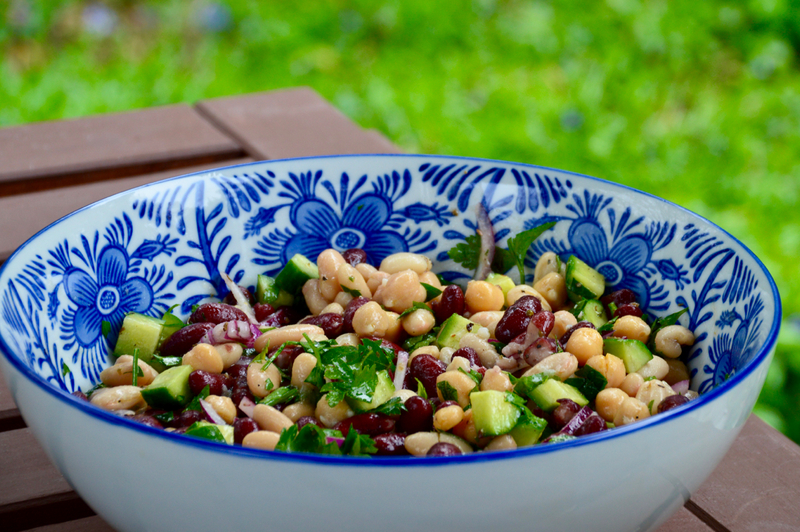 With fresh ingredients like chopped parsley and crisp cucumber, this is the perfect addition to your summer meal. The dressing isn't complicated either, and chances are you probably already have olive oil, red wine vinegar, dried oregano, salt and pepper, right? Good! Because that's all it is. So simple and so yummy - enjoy! Combine everything in a serving bowl and serve! Can be prepared ahead of time and served up to 3 days in advance.